This is a 1908 4 “Self Filling” LF in Black Chased Hard Rubber. Rare, early model. Medium, triple-flexible nib. A little trim wear noticeable with a loop, otherwise in wonderful near mint condition with a very rare nib! A stellar specimen for those seeking a flexible writer. Item #243 in Catalog #84. 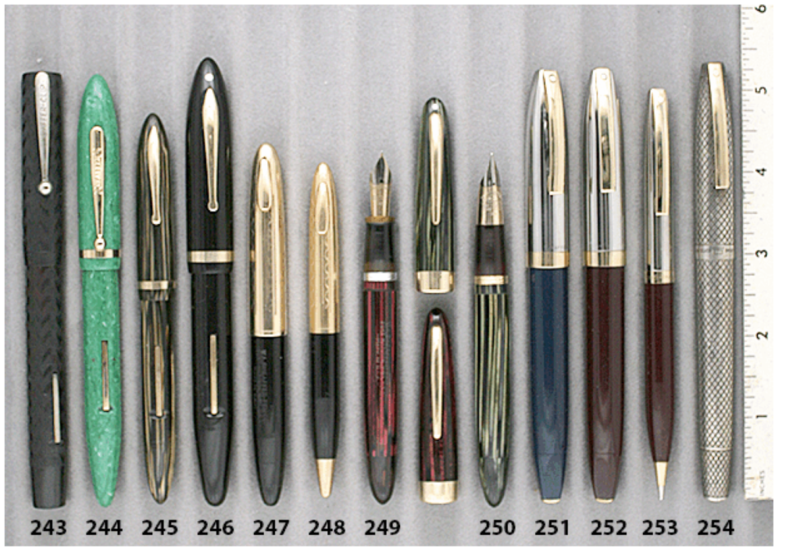 This entry was posted in Vintage Pen, Vintage Pens and tagged Catalog, Catalogs, Extraordinary Pens, Fountain Pens, Go Pens, GoPens, Sheaffer, Vintage Fountain Pen, Vintage Fountain Pens, Vintage Pen, Vintage Pens. Bookmark the permalink. Follow any comments here with the RSS feed for this post. Post a comment or leave a trackback: Trackback URL.